If you follow me on Instagram, you may have spotted some serious love for a little bit of silver and gold bling I've been sporting lately. 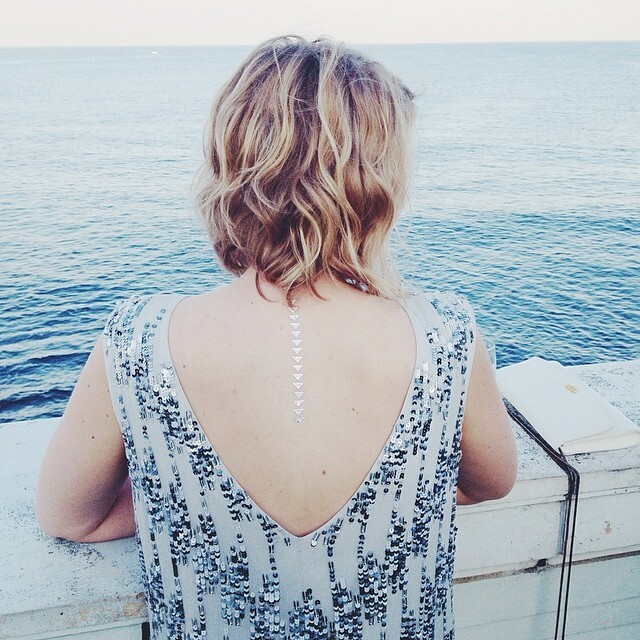 These jewelry-inspired metallic temporary tattoos are the coolest....stick 'em on your elbow, feet, hands, shoulder, nails, face, whatever floats your boat for a touch of glitz. Flash Tattoos, I think I'm in love. so chic! i love with that dress.